Skills Sessions are a weekly hockey training class dedicated to developing your players skills and confidence on the ice. Players are split into appropriate groups based on skill and age and then work through different stations with different instructors. Each station is arranged to help work on a different skill. We run drills that are fun, and focus on development of the correct techniques. For more information about Stouffville Skills Sessions Click Here. For more information about East Gwillimbury Skills Sessions Click Here. Hockey Camps are normally run consecutive days during the March Break, or other Holiday Weeks. There are also camps run throughout the summer and pre-tryout camps. Camps are run similar to our skills sessions but are normally two hour sessions giving us more time to work on specific skills and develop a more complete training session. With the next skate only a day later we are able to re-introduce the skills that we learned on a previous day and really help perfect them . For more information about our upcoming Stouffville Hockey Camps Click Here. For more information about our upcoming East Gwillimbury Hockey Camps Click Here. Payment: Skills sessions and camp spots are filled on a first come, first serve basis. Payment is due upon registration to secure your spot. A $25 Cancellation Fee will be applied for any cancellations made once the registration is completed. The remaining credit balance will stay on account for future use in one of our upcoming skills and/or camps. No refunds on withdrawn programs. 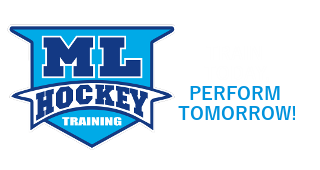 If a participant is unable to participate in the program due to medical reasons, he or she will receive a credit (with medical note) towards their next ML Hockey skills session and/or camp. No refunds, credits or make up classes will be made for absences missed by the participant without 24 hour notice.